• Practical feature articles, product reviews and in-depth news reports. • Essential music education news so you can keep up-to-date during your coffee break. • Practical ideas and information for instrumental teachers including sheet-music reviews. • Free monthly e-bulletins with breaking news, and great prizes for you and your school to win. • Unlimited access to our online lesson materials when you upgrade to Music Teacher Online. Looking for Music Teacher in print? Unfortunately pocketmags.com does not sell print copies of Music Teacher, but all is not lost. Our partner at magazine.co.uk sells print subscriptions at the best prices online. 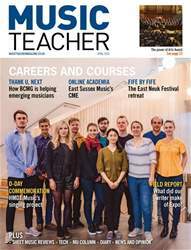 Courses and careers: we take a look at the new courses offered by UK conservatoires; Abbey Road Institute trains the music producers of tomorrow; EPTA & ESTA join forces on a new course; how BCMG is helping emerging musicians; Kilburn’s Institute of Contemporary Music; the power of Arts Award; and Yamaha Junior Music Course. 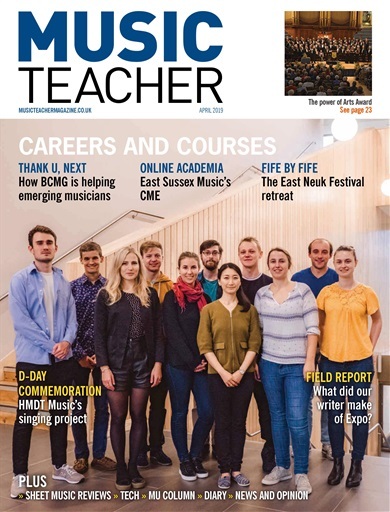 Plus, HMDT Music’s singing project commemorates the 75th anniversary of the D-Day landings; East Sussex Music’s CME; the East Neuk Festival retreat; music technology for Early Years and KS1; report from this year’s Music & Drama Education Expo in London; and Music Teacher Award winner Anna Rusbatch. 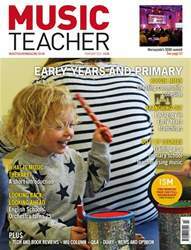 You'll receive 12 issues during a 1 year Music Teacher magazine subscription. 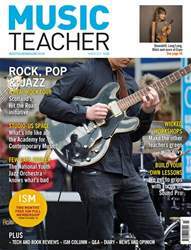 Great Mag for Music Teachers - both the wife and myself read this magazine full of tips and ideas for the music classroom. You'll receive 12 issues during a 1 year Music Teacher magazine print subscription.